Brooding aromas of blackberry preserves laced with brown sugar and baking spices, with hints of new leather, violets and wet stone. A generous forepalate of dark brambly fruit with exotic spice and a dense mouthfeel lead to refined but big, chewy tannins and a very long finish. This is a co-fermented blend of Cabernet Sauvignon, with its parent variety, Cabernet Franc, from Scooteney Flats Vineyard. 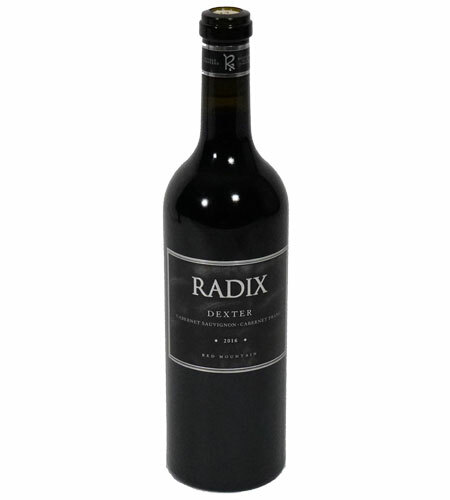 Bursting aromas of dark cherry, baking spice, tobacco leaf and dried herbs. A mélange of concentrated cherry, raspberry and red currant fruit flavors glide along the palate with balancing acidity and very fine tannins. The long iron tinged finish screams Red Mountain.